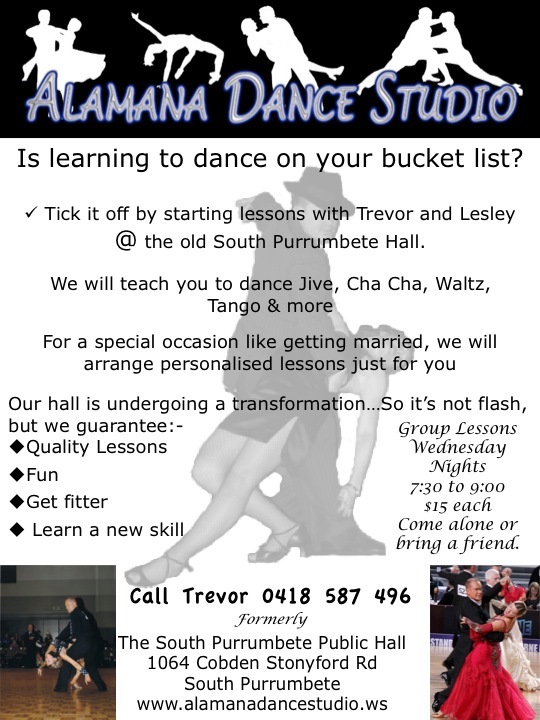 We told you this was the place to be and didn't last Wednesday night prove that, with the first ever group class held in the Arts precinct of Corangamite, South Purrumbete. Well this week we have two bits of very good news for you, the first is if you missed opening night it is not too late to join the latest craze up this way… our dance lessons. And the second is that we have just purchased a new HUGE heater so we will all survive the cold months easily!! !